Social platform algorithms have evolved — and continue to evolve — to encourage high-quality content that drives meaningful engagement. Facebook prioritizes content that drives conversation and engagement. Instagram balances timeliness and engagement. Twitter wants you to catch on “the best tweets” you may have missed, and LinkedIn tries to pick posts most relevant to every individual user. In other words, the best content has the best chance of surfacing in the user feed. The rest — it basically disappears. A 2016 Moz study of 1 million pieces of content showed that over 75 percent of content analyzed received no social shares at all. None. Search is no different. The benefit of a search engine is providing relevant results for the user. As a result, Google (and other search engines) settles for nothing less than superior content. 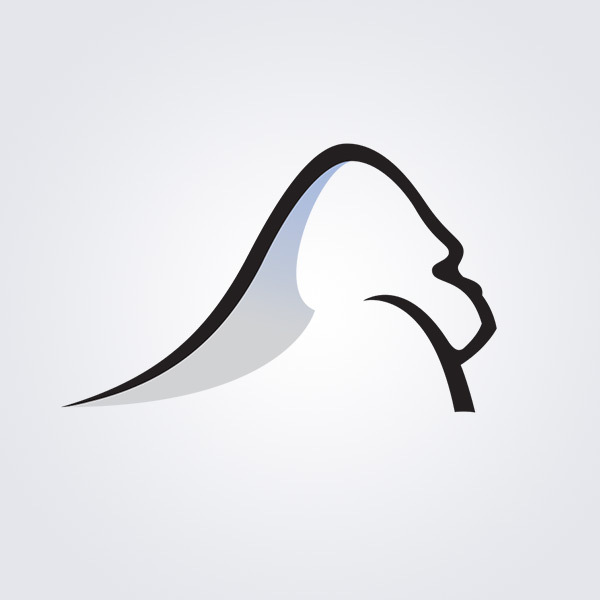 “Google’s main goal as a search engine has always to display the highest quality results at the top, no matter what type of search is being conducted,” according to Silverback Strategies’ Vice President of SEO Kurt Lambert. “And while a website with an awesome user experience and a solid technical foundation are major parts of what Google would deem ‘high quality,’ well-written and informative content has always been at the backbone of the optimization process, especially as their crawlers become more sophisticated over time. Content that is as relevant as possible to a particular topic and can provide facts to help answer a user’s query is the content that has always ranked the best amongst search results." That’s all well and good — but you have to know what kind of content to produce, when to create it, and how to disperse it skillfully. Digital content comes down to providing people with what they need when they need it. One way to tackle this feat is by letting seasonal trends and events drive your content strategy. A seasonal content strategy is more than just your stereotypical winter-holiday season (Thanksgiving, Christmas/Hanukkah/Kwanzaa, New Year’s Day). 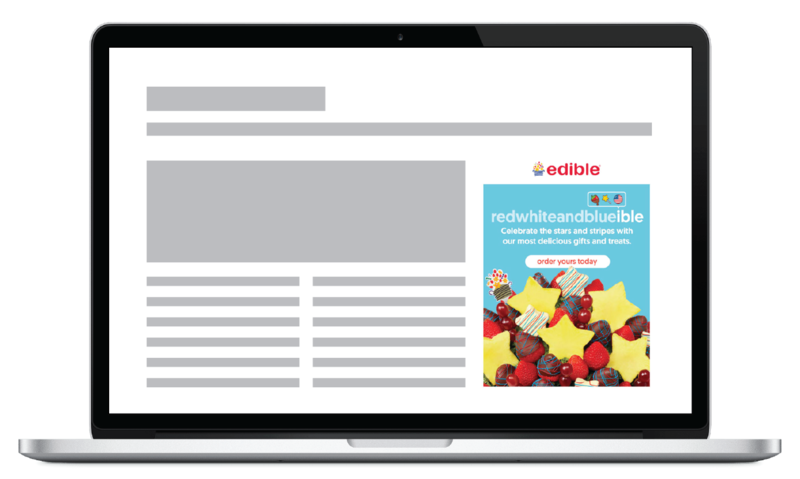 When properly executed, your business can benefit from seasonally-relevant content and breaking news and trends all year round. Getting in front of the calendar and having the flexibility to appropriately incorporate current events into your content strategy allows you to engage your audience in a more timely fashion and sends critical refresh signals to search engines, informing them you are actively adding new content to your website. There are two types of seasonal trends: standard (annual) trends and unpredictable trends. Standard (annual) seasonal trends repeat every year. It’s easy to anticipate these moments-in-time. Plan ahead and incorporate them into your editorial strategy. Holiday-based trends. These holidays can be found on most calendars online. Twitter also maintains a very comprehensive international event calendar accessible via the Analytics sections in your account. You could use official national or international holidays to drive your strategy. Think of any of the holidays you see on your work calendar - Labor Day, Christmas, New Years, Fourth of July, etc. You could also break this down to include state or local holidays depending on your target audience. Don’t be afraid to get creative with these. Check out this example from Edible Arrangements. They used the Fourth of July to create an online promotion. Another avenue for your strategy could be to create content for professional holidays, such as days like Nurse’s Day or Teacher’s Day. Finally, have some fun with quirky holidays (i.e., National Talk Like A Pirate Day). Check out websites like Days of the Year or Time and Date to find the perfect fun holiday. If you need more of a concrete example, read Entrepreneur's article about National Hot Dog Day. Time-based trends. These trends are pretty common and typically repeat every year. Time-based trends include anything from back-to-school season to spring cleaning. Check out this US News Shopping Calendar for inspiration on what consumers will be looking for throughout the year. Right now, you could be like Busch Light and create content inspired by pumpkin spiced latte season. Event-based trends. Normally, event-based trends tend to be industry-specific, such as festivals, awards, or conferences, and are recurring. If you can’t think of any or need help finding events, head on over to websites like the Meeting Magazine and Meetings & Conventions to see their industry-specific calendars. You could make promotional pamphlets or even write a blog, as AdWeek did in 2014. In the month leading up to the annual Clio awards, Ad Week wrote a blog on How to Win a Clio Award. Unpredictable trends fluctuate and are usually more closely associated with current events. You need to be quick on your feet to really benefit from them, but if done correctly, they can have a powerful impact on your content marketing. And be careful! A smart, funny, timely post about a current event can get a lot of laughs, spark engagement, inspire emotional reactions and drive a ton of positive conversation around your brand or business. Take the Oreo tweet from the 2013 Super Bowl, for example. The power went out, and a timely tweet received almost 15,000 retweets. A misplay, however, can make your brand look silly, insensitive, ignorant or — heaven forbid — cheesy. McDonald's tried to come off as innovative, moving alongside the shift toward healthier eating by announcing all Quarter Pounders will be fresh by mid-2018 in a tweet. 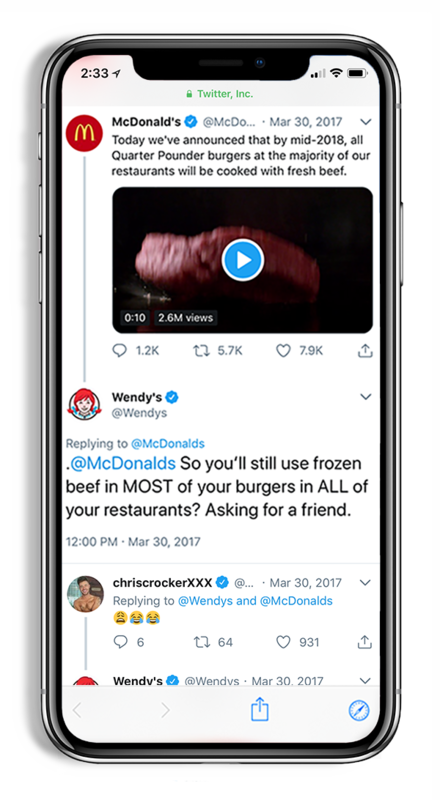 Wendy’s clap back, though, made McDonald’s look far from cutting edge. McDonald's announcement received a response from Wendy's in March 2017. Be ready to react to the content moment, but don’t force it. Now that you understand what trends you can capitalize on for your content strategy, it is time to get the ball rolling. Identify your goals. Ask yourself, what are you trying to gain? Whether it is brand awareness, lead generation or driving sales, it is imperative to set goals early. They will help guide your approach and stay on track toward your end game. Determine your seasonal relevance. Look into the possible ways you can connect your products and/or services to seasonal opportunities. Also, dive into the needs of your target audiences. What do they need during this season? What are their concerns? What would they be interested in seeing? For example, if you have a strong female following, highlight your female employees in a blog post for International Women’s Day. Lay the groundwork. You have a lot of options between the different trends you can include in your strategy. Use an organizational system to break down upcoming trend opportunities and keep track of your marketing campaigns to ensure you never fall behind, like the one below. Conduct a competitor review. Consider what your competitors are doing when it comes to seasonal content. What types of content are they creating? When is it being published? What platforms are they using? This analysis allows you to find out if one topic about a trend is already too saturated. You can fill in the gaps and bring in new information to grab the attention of your audience. Analyze trends. Google Trends is a free tool that analyzes the top search queries in Google Search across regions and languages and then displays them in graphs to demonstrate the change in volume over time. Take a look at the back to school example below. According to Google Trends, “Numbers represent search interest relative to the highest point on the chart for the given region and time. A value of 100 is the peak popularity for the term. A value of 50 means that the term is half as popular. A score of 0 means there was not enough data for this term.” In the above photo, we see the search query “back to school” is begging to climb up the peak. As you start to see the slope rise, start prepping your content. Once your content has been prepped, and the slope is almost to the peak’s apex, it’s time to publish your pillar content - the backbone to your seasonal campaign. Consider investing in social advertisements or even reach out to influencers to feature your content. If you are focusing on one of the more fun holidays or a professional day, prep your content leading up to the day and post the evening before or in the morning to position your organization as an industry leader instead of a follower. Create and share. Now it is time to create your content! Be sure that it is formatted to maximize engagement - attention-grabbing headlines, high-quality photos, and clear call-to-actions. After your content is ready to roll, make sure to share it at optimal times and on the right platforms to reach your target audience. Ancestry.com, for example, did a great job combining their headline and CTA as one during the winter holiday season. Optimize your content. If you really want to get the most out of your content, conduct A/B tests. Facebook, for example, offers A/B testing for ad delivery optimization which allows you to get your content in front of audiences quickly and efficiently so you can see what lands more effectively with your targets. After some time, revisit your content and then prioritize the images, headlines, articles, and videos that received the most traction. You can trim away what isn’t work well in your strategy to make room for what is. Uncovering your best content will help you work toward those end goals. Part of being a marketer means discovering innovative ways to capture your audience's attention. After a while, they become desensitized to the same message being thrown at them over and over again. Whether you are trying seasonal content marketing for the first time or looking for an experienced content and social team to help, using seasonality as a blueprint to add variety into your strategy is a way to keep your audience engaged. Have a question or additional tips on how to incorporate seasonal trends and events into your content marketing? Leave us a comment or tweet us @SilverbackStrat.